Che Guevara & 3 issues to Avoid in Content Marketing - SmackSmog! WWCGD? (What Would Che Guevara Do? )So you have decided to revisit your website and make adjustments for today’s markets. You want to try new things, like maybe even start a twitter account for your company. What do you do to modernize the way you market yourself and your product to the public? One thing you know for sure is that it takes more than removing ad banners from your site. A tried and true method to decide what you should do to change your focus and presentation to consumers is to know what not to do first. What follows is three things you should avoid when beginning your new marketing front. went to the Congo to help them carry out their revolution. 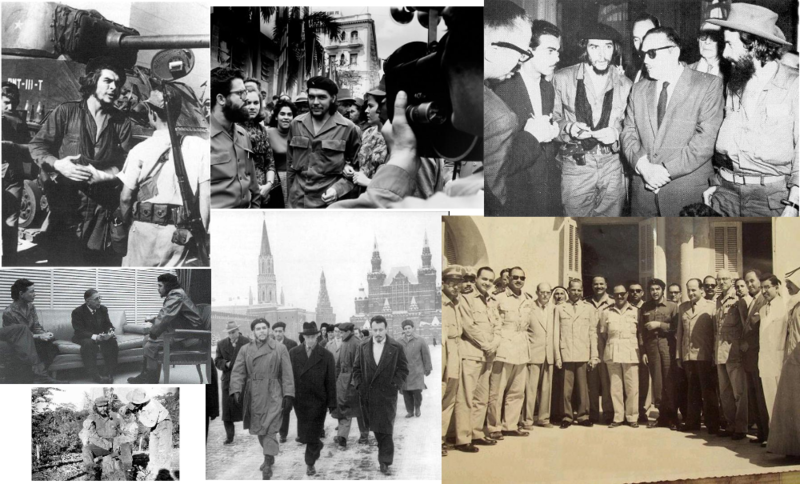 Coming from the successful Cuban Revolution, Che was now one of the main arms of spreading revolutional idealism throughout the world. Castro was busy running the country so Che would venture out as a consultant of sorts. When Che arrived in the Congo he arrived to a place that was protesting different issues, and protesting said issues in a different environment than in which he had grown accustom. Instead of merging his experience with his African counterparts and coming up with hybrid guerilla tactics, he was uncompromising to a fault and ended up leaving the area sick and without results. What does this story have to do with content marketing? This is not a parable about guerrilla marketing. As Che learned you cannot fit a square into a circle without losing something. Although you may have a grand vision about your marketing needs you must to be open to new things. Social media is not about how many “likes” you get on Facebook anymore. To use content marketing in a viable and rewarding way, be ready to embrace new things. And remember just because you are embracing new things you do not just throw out the old. This leads me to the second issue. Content marketing is not just about changing the way you talk to your customers. We are not all dialectical materialists believing in the golden role of thesis, antithesis and the happy ending of synthesis. Sometimes getting to a synthesis is not destructive. You don’t have to hire a whole team of “tech guys” who come into your offices with their “macbooks” thinking they know your product better than you do, to revamp your website. The way you present yourself to your customers may already be as more of an information hub than a storefront. You may just need to dabble into the waters of social media, giving yourself a bigger presence on the web. If you want informational blogs about the product you are selling it may be just as simple as starting a blog on Tumblr. Changing everything can be just as detrimental to your goal as not being open to change in the first place. If you have recognizable presence on the web you do not want to make yourself less recognizable to your existing customer base. With the right guidance you gain more customers and satisfaction when changing to a strategic and content driven marketing model. Cleanliness is not as close to godliness as consistency. When you decide to change the way you present your company and its product to consumers, always be consistent. I follow hundreds of people on twitter and Tumblr. The people that keep me interested in what they have to say, whether it be politics, movies, television, or books are the ones that post frequently. If someone doesn’t tweet or blog much I may “unfollow” them because I feel like they have nothing to say to anymore. When you decide to make your presence in social media known, make a name for your company with consistency. If you start out posting one a week, keep it up and always let your followers know if that is going to change. If the person doing your twitter feed is going on vacation announce that to your followers so they don’t think you have forgotten them. Now the above three issues are certainly not an exhaustive list. However if you do your best to avoid them then you don’t have start behind the eight ball when focusing on content marketing. And when those “tech guys” with their “macbooks” walk into your office you can confidently look them in the eye and ask them not wear sandals on their next visit.